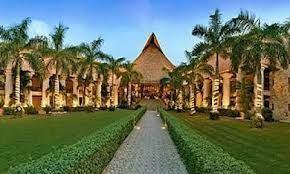 Playa del Carmen is part of the beautiful Caribbean coastline of the Yucatan Peninsula of Mexico, and the Hacienda Vista Real is one of the top luxury resorts in the region. 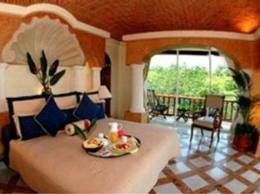 When you find Playa del Carmen timeshare resales, you have the opportunity to own your vacation in this luxury resort and enjoy a Caribbean vacation every year for less than discount prices. 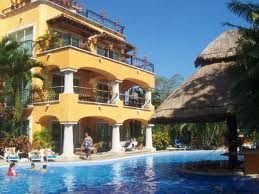 The Hacienda Vista Real is surrounded by beautiful tropical gardens, several lakes and golf courses. 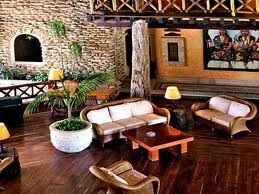 The hotel is designed like a Mexican hacienda with contemporary décor and furniture. The grounds offer peace and serenity while being close to all the excitement of the locality. The amenities are what you would expect at a first class hotel starting with its restaurants that include a buffet breakfast along with traditional Mexican food for lunch such as quesadillas, chicken fajitas, chilaquiles and guacamole. Your luxury vacation resort offers several medicinal and cosmetic spa treatments, free Wi-Fi, gym, sauna, air conditioning, babysitting services, outdoor swimming pool, laundry service and more. 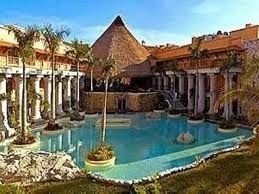 Your timeshare may be a classic double, a family room that sleeps one or two children or a royal suite. You may have a private balcony and Jacuzzi and all rooms have TV. Hacienda Vista Real is near some of the most fascinating sites in Mexico, including archaeological sites such as Tulum and Chichen Itza as well as natural wonders such as underground rivers, caverns and lakes. The resort’s concierge service will arrange air-conditioned tours to these and many other places. 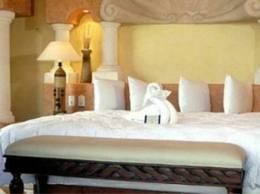 The Caribbean coast of Mexico is the ideal place for a romantic getaway or a full family beach vacation. Owning a timeshare is a good way to secure your future vacations if you believe that travel is an important part of your lifestyle. 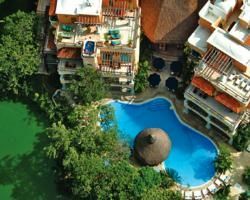 When you own Playa del Carmen timeshare resales in this upscale resort, the world is open to you because you can exchange your unit for a comparable one in a luxury resort in a different location without spending a small fortune. For example, if you plan ahead, you can visit the theme parks in Orlando or have a skiing weekend in Whistler. Contact Hacienda Vista Real Specialist Today!